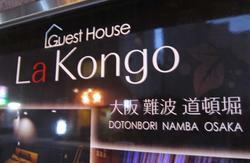 Drop Inn Osaka is Osaka's biggest guest house and is conveniently situated only 7 minutes from JR Osaka on foot. Our 5 story building can house up to 90 guests and we pride ourselves on having staff who can speak multiple languages to assist your stay. 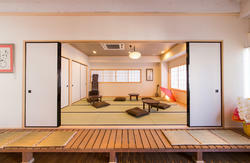 Our weekly events in Japanese culture will allow you to experience Osaka without going outside the guesthouse. We have space for up to 90 people and can accommodate single travellers to up to private rooms of up to 5 people. The first floor has a delicious Ramen restaurant to satisfy your cravings as well. 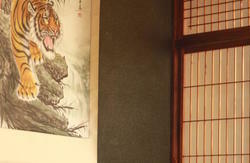 Our staff are all speakers of multiple languages are will be happy to help you with your trip planning in Japan. Weekly events in our spacious lounge can accommodate up to 65 people so you will have just as much fun inside the guesthouse as outside! 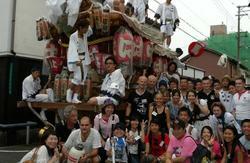 Come learn about Japan and feel the real Osaka with Drop Inn Osaka! The room rate does not include Japanese sales tax amount 8%. Exit the Central Gate - Go to the North Central Exit towards the Highway Bus Terminal - Turn left once you exit the building - Follow the train lines and you will pass the Hanshin Umeda ramp and arrive at the train crossing. Cross the train crossing and you should see Drop Inn Osaka about 50m ahead. You can use these for landmarks: Montbell Outdoor Good store, Hanshin Umeda Ramp, Tatsuno Corporation (Red Sign), Cafe Gusto.